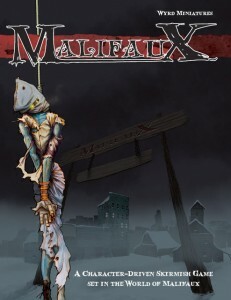 You might have heard of Malifaux already. It’s the new tabletop skirmish game from Wyrd Miniatures that uses no dice. That’s right, you don’t have to roll a single die to play this game. You might be asking “How do you play a tabletop game without dice?” Well, you use a deck of cards instead. It’s a bit different than traditional tabletop games. 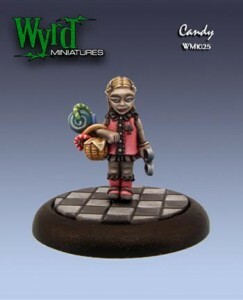 Also, don’t forget to check out the Tabletop Geeks Malifaux Galleries or sign up to upload your own! So how well does it work? I was a bit skeptical at first, but also somewhat excited at the idea of something new and different. Can a deck of cards really replace dice and still make a fun and interesting game? After playing a few games I can confidently say that yes, a tabletop game without dice can work (and work well)! Let me explain. We all know how it goes in a traditional dice game. You just have those games where nothing goes your way. Your dice seem to be cursed and can’t stop rolling 1s. No matter how hard you try and no matter what your strategy is, you are prisoner to the roll of the die. It happens to the best of us, and it is just no fun when it happens. Enter the cards. Malifaux uses essentially a standard deck of playing cards (with jokers). Instead of rolling dice you flip over the top card from the deck for your random number generation. On top of that, you have a hand of cards that you can use to “Cheat Fate” (replace one of the cards that you’ve drawn) and soulstones that can be used to flip additional cards. Who doesn't love a woman with swords? Most actions in Malifaux require you to perform a duel which means flipping the top card from your deck and adding it to a stat in order to beat either a specific number or to beat your opponent who also flips the top card from their deck and adds it to a stats. For example, in a simple melee duel the attacker would flip the top card from his deck and add it to his Combat stat while the defender would flip the top card from his deck and add it to his Defense stat. Then from here either one can Cheat Fate or use soulstones to modify their totals in an attempt to win the duel. This simple setup is used for casting spells, melee combat, ranged combat and more. The most obvious thing that is different here is that you have more control over what happens. In a typical dice game you are stuck with whatever you roll, there’s no changing that. In Malifaux you have a chance to fix a low flip. Of course, you have a limited hand of cards so there is an extra layer of strategy in deciding when to Cheat Fate or use soulstones (of which you have a limited number). Is this current attack that important or would you be better off saving that high card for something else? Another (less obvious) effect of using the deck of cards is that you are guaranteed to have some high rolls. When rolling a die you could potentially roll a 1 over and over, there’s nothing preventing that from happening. With a deck of cards there are only so many low cards and so many high cards to go through. You are guaranteed to get high numbers at some point. It’s still random and there is still plenty of chance to what numbers you get and when (especially since you re-shuffle every turn) but the more actions that happen without re-shuffling the more likely you are to have received several high cards along the way. Enough about the cards, what about the rest of the game? Well, one thing that I particularly like about the game is the way turns work. You and your opponent alternate activating a single model instead of getting to move your entire crews (though some special abilities allow you to alter turn orders and activate multiple models at once). I prefer this as it allows you to react to each individual move from your opponent (or cause your opponent to react to yours). Each character has a full set of abilities that they can use, some standard ones such as attack and some unique abilities. 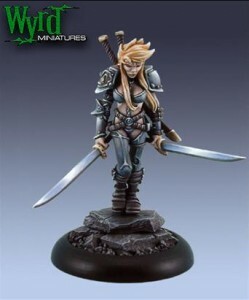 When you purchase a model from Wyrd it comes with a character card that has that character’s full stats on it. This is a great help when playing the game as it puts all of their abilities right in front of you, with full descriptions. Characters receive 2 actions per turn (with some exceptions increasing or decreasing that) and each ability or spell costs a specific number of actions. In addition to normal actions characters can also have triggers. As the name might imply, a trigger is something that is “triggered” off of another action. You might have a trigger that can be activated after you attack, assuming you meet the requirements for it (which comes in the form of necessary suits from flipped cards). These triggers add yet another layer of strategy as only one can be used at a time, and they can alter an action in various ways. Trigger effects range from something as simple as a bonus to damage after an attack to more complicated things such as immediately killing a model unless your opponent can prevent it through discarding cards or soulstones. This is one of my favorite aspects of Malifaux. They are so simple, but that extra little trigger can change the game in so many ways. There is one last thing that Malifaux does that I find incredibly interesting, Strategies and Schemes. The way that you win a game is by earning “Victory Points”. At the beginning of the game each player flips a card to randomly determine what their Strategy for the game will be… things such as assassinate the opposing team’s leader, eliminating all of the opposing teams models or controlling portions of the board. In addition to this, each player may optionally take up to 2 or 3 (depending on game size) Schemes, which are additional goals that the player can keep hidden from others. Schemes might include breaking through to the other side of the board, keeping a specific model of yours alive, or capturing a specific piece of terrain on the board. At the end of the game each team earns Victory Points based on their completed Strategies and Schemes, and the winner is the one with the most points. The setting is fairly unique as well. It is often referred to as “Steamvictoriohorrorwestpunk”, which sums it up pretty well. The game is set in an alternate dimension that is discovered in the 18th century of our world. As the title above indicates, there are elements of Steampunk, Horror, Westerns, and the Victorian Era. The available models range from creepy little girls to Steampunk robots to undead hookers to gremlins. You wouldn’t think that so many elements could mesh together well, but somehow it works. The story behind Malifaux is very interesting as well. As mentioned above an alternate dimension opens during the 18th century. In this alternate dimension there are soulstones, which have coveted stones with magical properties. Scattered throughout the book are bits of a story that includes many of the characters you will be playing as. The story may be short, but it still manages to bring plenty of personality and character to many of the characters you can play as. Stories in the world of Malifaux are continued in the Wyrd Miniatures’ e-zine the Wyrd Chronicles. 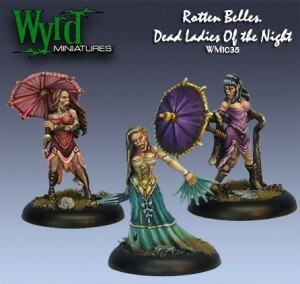 Undead "Ladies of the Night"
There is one small thing that does bother me a little bit about Malifaux. It uses a 32mm scale with 30mm, 40mm, and 50mm bases for the miniatures. This is slightly larger than many other games. It does make it a little harder to find bits if you want to do your own conversions, though it’s still possible. It also means that the terrain should be slightly larger as well. This is really just a minor inconvenience though, and is not enough to stop me from playing Malifaux. Overall, Malifaux is an excellent new game. The game is pretty simple to pick up and start playing as the basic rules are very easy to learn. However, all the various elements in the game from the Strategies and Schemes to Cheating Fate to Triggers make for a very strategic game. I highly recommend that everyone check this game out! If you’re already playing, don’t forget to check out our Malifaux Downloads section. 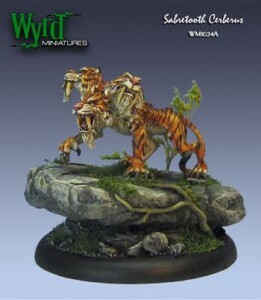 Wyrd Miniatures, Malifaux, and Catacomb Prowlers, all character names, their distinctive likenesses, and faction symbols are property of Wyrd Miniatures, LLC and © 2005-2009 Wyrd Miniatures. This entry was posted	on Sunday, January 10th, 2010 at 2:18 pm	and is filed under Reviews. You can follow any responses to this entry through the RSS 2.0 feed. You can leave a response, or trackback from your own site. Been interested in this game since I first saw the Sabretoother cereberus miniature 😀 (Got a pretty big barbarian army on the go… collecting dust on my shelves :P), but this is the first review I’ve seen of it! Sounds quite intruiging…. and very french! Powered by WordPress v 5.1.1. Page in 1.619 seconds.